Attorney Gloria Allred said she will make a statement about Rachel Uchitel’s relationship with Woods. Allred said Uchitel will attend the 11:30 a.m. PT (2:30 p.m. ET) news conference but will not speak. The statement follows an apology by Woods on Wednesday for “transgressions” that let his family down — the same day US Weekly magazine alleged that Woods had an affair with another woman, Jaimee Grubbs, 24, whom it identified as a cocktail waitress. The magazine also published what it says is a voicemail message from Woods to Grubbs. CNN could not independently confirm that the voice on the recording was Woods. Grubbs is the second woman to be romantically linked to Woods in news reports. 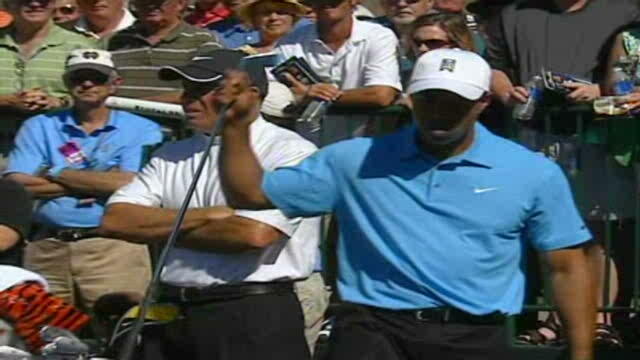 Woods, who did not admit to an affair, offered an apology on his Web site Wednesday. “I regret those transgressions with all of my heart. I have not been true to my values and the behavior my family deserves,” he said in a statement on his official Web site. Woods crashed his SUV outside his Florida home last week, sparking intense interest on the accident, which came a few days after The National Enquirer reported the golfer was having an affair with Uchitel, a New York nightclub hostess. Uchitel has denied the assertion. Woods paid a $164 fine for careless driving after investigators said he crashed the vehicle into a fire hydrant and tree. Christine Brennan, a columnist for USA Today, said the golfer’s apology falls short. Previous PostTiger TweetsNext PostHughes it Or Lose it?